High performance building standards lie at the foundation of how we build better. 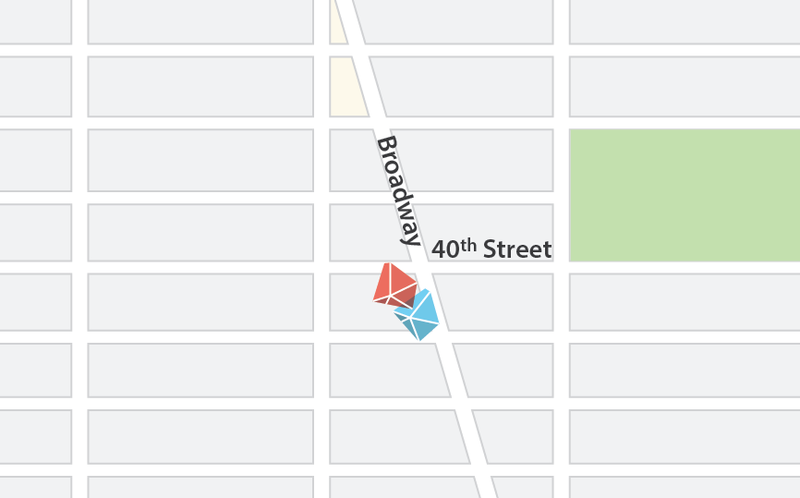 We are already experiencing the effects of climate change in New York City. Our summers are hotter and our storms are becoming more and more frequent. We are not alone – growing evidence shows changing climate is harming communities around the world. In 2015, 200 countries acknowledged this and committed to the Paris Agreement. On June 2, 2017 Mayor de Blasio signed Executive Order 26, committing the most populous city in the United States to the principles of the Paris Agreement and to developing a pathway to advance the Paris Agreement goal of limiting global temperature rise to 1.5 degrees Celsius. To meet this target, we all need to use less energy and lower the amount of fossil fuels being burned for heating, cooling and energy use, as these release greenhouse gases which contribute to climate change. A great way to accomplish this is through making our buildings perform better. 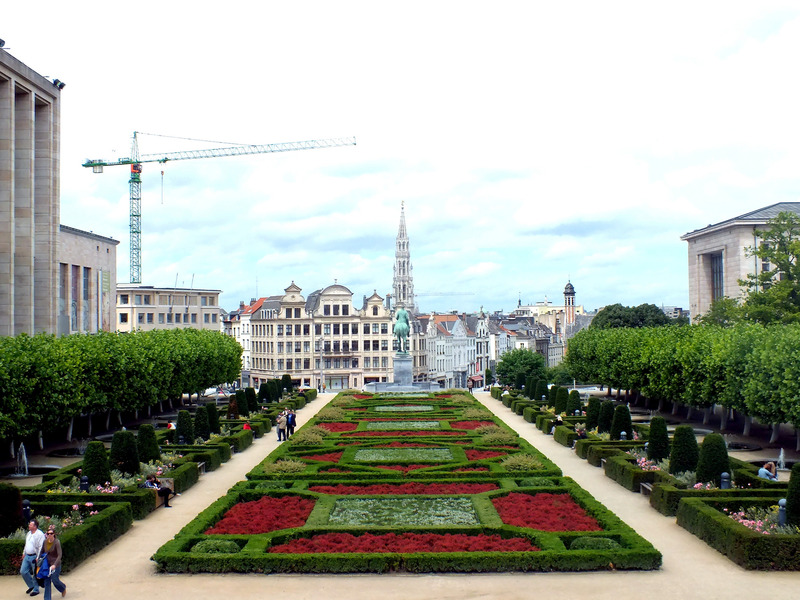 In Brussels, the Passive House standard was adopted as the building code in 2015, making it the first region in the world to require such a stringent standard. By offering incentives to build 243 very low-energy projects, the BatEx or “Exemplary Buildings” program catalyzed the market and showed the standard could be achieved with minimal cost premium. Given BatEx’s success, the program can be used as a model to develop programs in other cities that support and award best practices in building construction, including New York City’s voluntary High Performance Retrofit Track, part of the NYC Retrofit Accelerator program. During NYC Climate Week 2014, Mayor de Blasio announced New York City’s bold commitment to reduce citywide greenhouse gas (GHG) emissions by 80 percent by 2050 from 2005 levels (80×50). Since then, the City has led by example by enacting requirements that all new City-owned buildings be designed to use 50 percent less energy than a 2015 baseline and committing to retrofit every City-owned property with significant energy use. 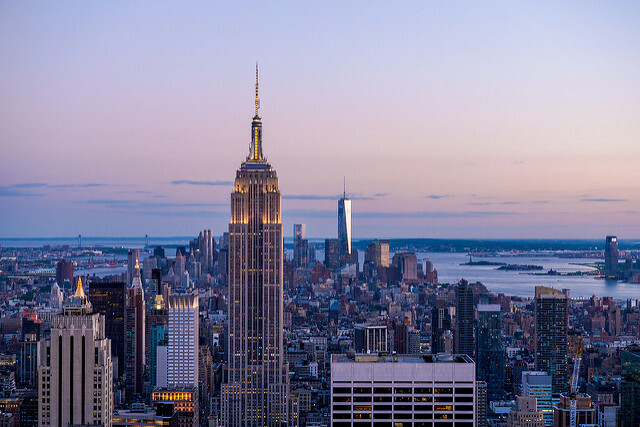 The City is also working to enact new, stringent building and energy codes and launched supporting programs, such as the NYC Retrofit Accelerator, to help owners and developers make their buildings more energy efficient and sustainable. High performance buildings are comfortable, healthy, and quiet. Because they are designed well and built to last, they work well and are simple to use and maintain. Operation, maintenance, and energy costs are lower for high performance buildings than for conventional buildings. This makes high performance building standards, such as the international Passive House Standard, an effective long-term solution for any building type. Building a high performance building might add marginal costs to the overall capital construction cost, but simple mechanical systems and robust, quality-assured construction reduce building operational costs. What are high performance buildings? High performance buildings work. The Passive House Standard has been used for over 25 years to create highly efficient buildings in all climate zones, from the Antarctic to the equator. Simplicity carries through in the use and operation of Passive House buildings. No special computerized controls are needed. Stable indoor conditions mean building occupants remain comfortable without bundling up in sweaters and extra socks in cool weather. The Passive House Standard is a simple, quality-assured approach to designing and constructing better buildings. It has a proven methodology for achieving high-performance in buildings of all types, and is the only internationally recognized performance-based building energy standard. BE-Ex is an educational nonprofit that provides resources on energy efficient and high-performance building best practices. 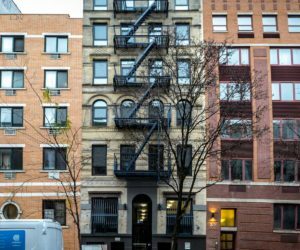 BE-Ex’s briefing, Passive NYC, outlines the guiding principles of the Passive House standard and examines opportunities and barriers to applying the standard in NYC. BE-Ex also offers the Passive House Primer – a free, one-hour seminar on Passive House fundamentals. The Primer is offered at BE-Ex’s learning center in downtown Manhattan and at offices across the NYC metro area, upon request. NYPH is the local affiliate of the International Passive House Association (iPHA), and is dedicated to promoting the Passive House standard through outreach, education, and advocacy. NAPHN works toward the transformation of the built environment using the tools and framework developed by the international Passive House Standard. They provide trainings, conferences and other events to educate design and building professionals, policymakers and the general public in support of low energy Passive House design. Click on the links below to review case studies of tested and proven high-performance buildings. 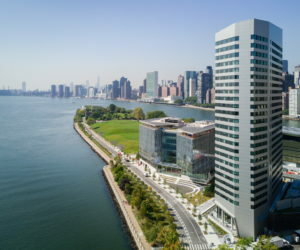 The House at Cornell Tech Roosevelt Island campus is 26 stories high, includes more than 350 units, and is the tallest Passive House certified building in the world. 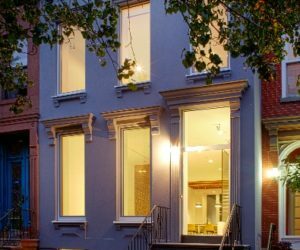 This gut renovation of an 1899 brownstone won an International Passive House Design Award, and included a third story addition and a new rear façade. This affordable housing gut renovation meets the Passive House standard to produce comfortable, healthy, and energy efficient homes for its tenants. 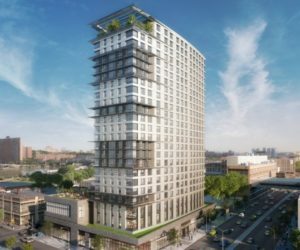 Upon completion, 425 Grand Concourse will be one of the largest mixed-use Passive House buildings in the world, consisting of 270+ housing units, an educational facility, a health clinic, and a cultural space. 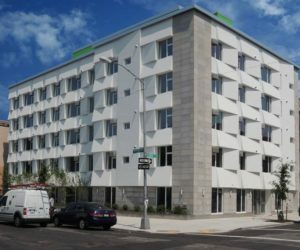 This six-story residential building contains 24 units of affordable housing, and is the country’s first mid-sized apartment building to conform to Passive House design standards. 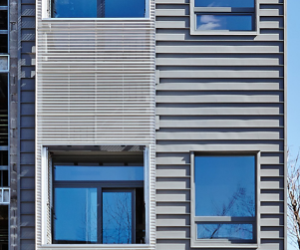 This innovative, ultra-efficient multifamily residence is certified to both Passive House and Net Zero Energy standards, providing non-energy benefits that include daylighting, optimal indoor air quality, and an exceptionally quiet space despite its location on a noisy city street. 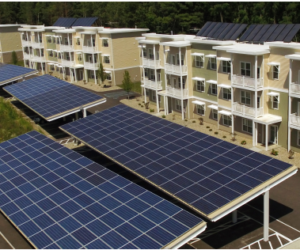 This 13-building, 156-unit complex is the first net-zero energy multifamily development in New York State, with a design based on Passive House concepts. 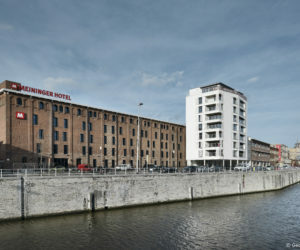 In 2012, this old brewery factory was transformed into a Passive House hotel with 170 rooms. To preserve the massive brown brick façade, insulation was carefully placed within its interior layer – creating a ‘breathing’ envelope. 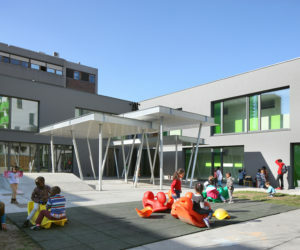 This campus-wide renovation and construction adheres to the Passive House standard, costs far below the benchmark rate for conventional building projects, and opened its doors to nearly 500 children since 2015.